Margie and I are sitting on the western stoep. It is just after sunset and the clouds are all shades of red. 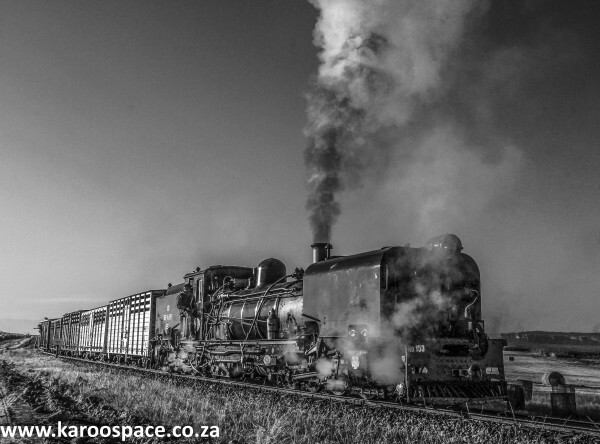 From over the koppies on the horizon comes the faint rumble of the evening train, a reassuring sound that we can hear from the time the train crosses the iron bridge at Norval’s Pont all the way to Noupoort. 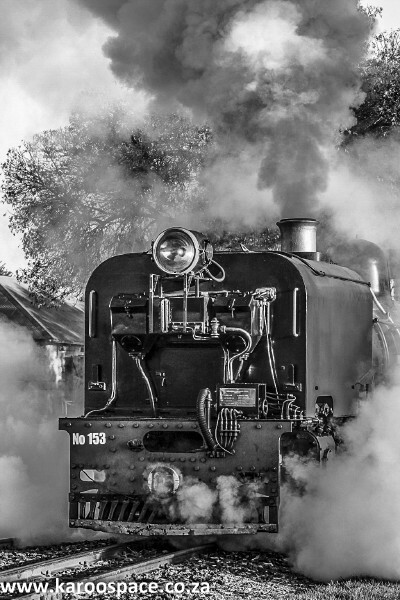 I tell Margie about my train journeys as a school boy, when the engines were steam and we had to be careful of looking out the window so as not to get a cinder in our eyes. I tell her about riding through the emptiness of the veld, past springbok and sheep in open plains, watching farmhouses in the distance and wondering what kind of life was lived there, past sidings with names like Travalia and Pampoenpoort, stopping in the heat of the day at Hugoslaagte for the engine to take on water, where the cypress trees on the platform rang with the song of small birds. I tell her about falling asleep to the clack-clack clack-clack of the rails and about half-waking in the night to a stoppedness, to calls and greetings, whistles and the blast of escaping steam. And how one hot night somewhere – it may have been near De Doorns – I woke to Tchaikovsky’s violin concerto filling the vastness of the night. 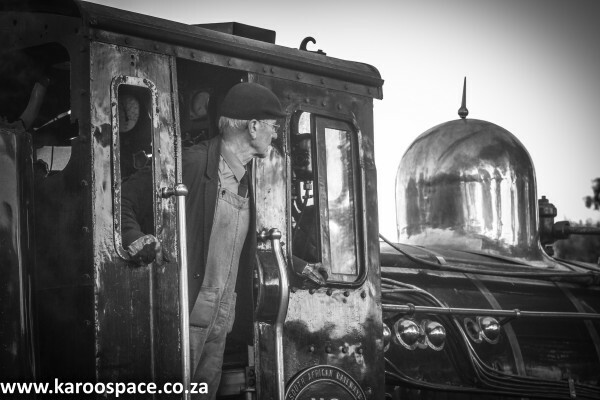 I tell her about the people who worked on the passenger trains, the affirmativeaction Afrikaners who pushed baggage trolleys, pulled water carts and tapped the iron wheels. I tell her about compartments of men who always shared their biltong and cigarettes with me, about sitting in the corner listening to their man-lives, watching them pour brandy into their man-glasses, and learning to blow smoke rings that could drift elegantly up to the ceiling fan. I only went home twice a year but I drank in more life on the train than I ever did in the orderliness of home or school. 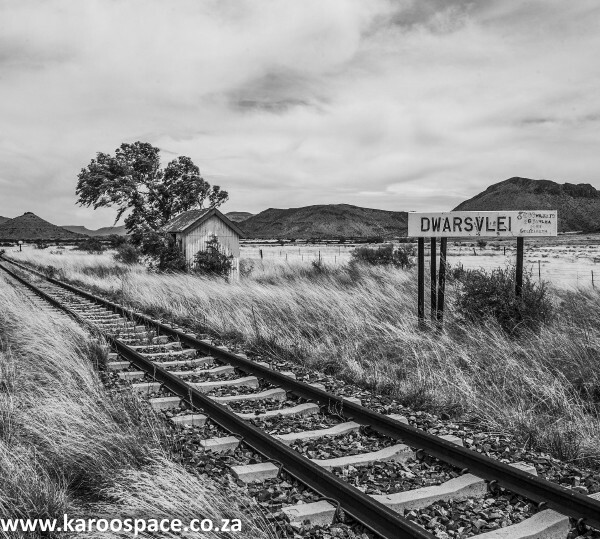 And, to my enduring delight, I still remember being kissed by a conductor’s daughter on the little open porch at the end of the carriage before she got off at De Aar. But mostly I remember this. Waiting as a young boy on the platform at Pietermaritzburg with my mother as I went off to senior school for the first time – she trying not to cry, me turning my back on her embarrassment. And there, at the far end of the platform, in the dark beyond the bright Victorian lamps and upright on the wooden non-white benches, row upon row of Zulu men, men wrapped in blankets and holding sticks, men waiting to be taken off to the mines, each one of them completely silent and utterly still. – With words from Psalm 23. 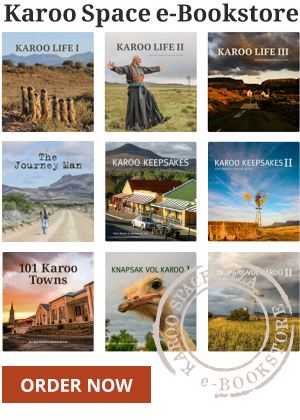 For more on Antony Osler and his books (Stoep Zen, Zen Dust and Mzansi Zen) visit http://www.stoepzen.co.za. 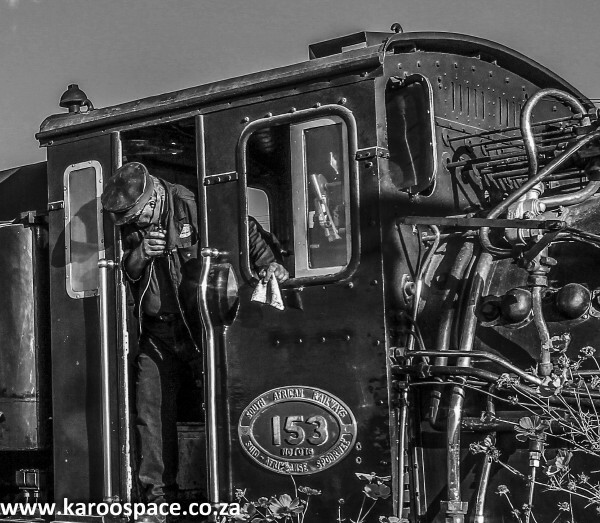 From my earliest childhood memories, there was nothing more thrilling than the annual Trans Karoo trip down to Cape Town, The shunting of the trains late at night in the marshalling yards, the steam locomotives chugging their way through the cold, Karoo nights and the distinct smells of the Karoo- my passion still exists to this day and whenever i get a chance, i visit the old De Aar marshalling yards to visit the iron giants of yesterday,. Leave a Reply to Neill Hurford Click here to cancel reply.